At first glance, “warmed beer to fight a cold” looks like something a brewery might have cooked up in order to turn a profit during cold & flu season. It certainly wouldn’t be the first time a brewery has made a positive health claim about its beer to increase sales. A similar legal reaction unfolded in the U.S. after Schlitz began fortifying its beer with vitamin D in 1936, touting that consumption of the beer would lead to “year round vigorous health.” Schlitz was quickly imitated by Auto City Brewing Co. when it started adding vitamins B and G (riboflavin) to its Altweiser Beer in 1937 along with the advertisement that Altweiser “is more refreshing because of the vitamins B and G which it contains… vitamins which are absolutely essential to proper digestion.”¹ In response, the Federal Alcohol Administration (FAA) ruled in 1940 that beer labeling could not make mention of vitamins. And no, it wasn’t just breweries that tried to add to their bottom lines by extolling the alleged healing powers of hooch. Indeed, doctors commonly used to write prescriptions for “medicinal alcohol” to treat a number of aliments during U.S. Prohibition. Perhaps the most famous instance of all involved Sir Winston Churchill who was given an unlimited prescription for booze in 1931 for “post accident convalescence” after Churchill was struck by a car after exiting a cab in New York City. Financial motives aside, the question remains: is there any truth to the old German folk remedy that claims a warmed beer can aid against the common cold? As it turns out, the answer appears to be yes, at least according to some modern-day science. Of course beer is not going to cure a cold (there is no current cure), but it appears beer may help with cold prevention and assist in recovery. Proper beer contains alcohol, and alcohol has been scientifically shown to increase tolerance to pain, release endorphins which promote feelings of well-being, and decrease the amount of time it takes to fall asleep, although it can reduce the quality of sleep. Nevertheless, sleep helps both to prevent a cold and aid in recovery. So is this why NyQuil contains 10% alcohol-by-volume? Maybe, but the official corporate line according to Procter & Gamble is that alcohol is used only as a solvent to keep the active ingredients in NyQuil in solution. While this study was conducted using a hot fruit drink (not beer), it nevertheless lends strong support to the idea that a warm beverage, beer or otherwise, would confer the same kind of cold symptom relieving effects. A Spanish study from 2012 confirmed the sedative properties of hops, while a subsequent study showed that women who drank one bottle (330 ml/11.16 oz) of non-alcoholic beer that contained hops per night had improved sleep quality and reduced levels of anxiety. And according to a 2015 U.S. study, sleep turned out to be the single most important factor in preventing colds, more so than age, stress levels, race, education or income. People who sleep six hours a night or less are four times more likely to catch a cold when exposed to the virus, compared to those who sleep more than seven hours a night. Short story shorter: hops improve sleep, and sleep helps prevent colds. That said, just one beer may provide up to 12.5% of the recommended daily dose of B6. Vitamin B6 is a metabolism enhancer that helps to unlock and better utilize the energy and nutrients in food. That’s an extra energy and nutrient boost that can be used in the battle of You-vs-Cold. B6 in beer is derived from the yeast used to make the beer, which means unfiltered beers or bottle-conditioned beers will have the highest amount of vitamin B6, whereas filtered beers will have the lowest amount if any. A German study involving athletes showed that the risk of catching a cold was reduced by 33% after drinking alcohol-free wheat beer. Meanwhile, two other studies found that moderate alcohol consumption boosts the immune system. As it turns out, science has shown that moderate consumption of alcohol is effective in preventing the common cold, but in the interest of fair reporting, there are a couple potential draw-backs of alcohol to keep in mind. A) If taking any medication that recommends against the use of alcohol, it’s reasonable to follow that advice. B) Alcohol is a diuretic which means it has a dehydrating effect by way of increasing the amount of urine produced in the body by about 160% in the case of beer. Translation: for every 12 ounces of beer you drink at 5% ABV, you expel about 19 ounces of water for a net loss of 7 ounces of water. Staying hydrated is important particularly when fighting a cold because water helps to transport cold-fighting nutrients throughout the body, although watch how much water you consume as science seems to suggest that drinking excess water won’t help beat a cold. So why not just drink an additional 7 ounces of water per beer to make up for the loss? Clever idea. There’s just one catch: the body only hangs on to about 33-50% of the extra water you drink. If you’re thinking just drink a little more water, we really like the way you think, you problem-solver, you. Something like 14-21 ounces of water per beer sound about right? Will “Warmed Beer to Fight a Cold” Become a Thing Again? Only time will tell. Meanwhile, it turns out there might have just been something to that old German home remedy of warmed beer to ward off a cold after all. 1. Anderson, Will. From beer to eternity: everything you always wanted to know about beer (pp. 93). S. Greene Press, 1987. 3. Driscoll, David B. “Schlitz ‘Sunshine Vitamin D Beer Can’.” Wisconsin Historical Society. N.p., 19 Oct. 2012. Web. 13 Nov. 2017. 5. Churchill, Winston S. An archive of correspondence between Winston S. Churchill and Dr. Otto C. Pickhardt, the treating physician after Churchill’s New York City traffic accident, December 1931 – April 1963. 6. (www.dw.com), Deutsche Welle. “How Germans Fight Colds | All Media Content | DW | 02.01.2015.” DW.COM, www.dw.com/en/how-germans-fight-colds/g-18133946. 7. Woodrow, Kenneth M., and Lorne G. Eltherington. “Feeling No Pain: Alcohol as an Analgesic.” Pain, vol. 32, no. 2, 1988, pp. 159–163., doi:10.1016/0304-3959(88)90064-4. 8. Trevor Thompson, et al. “Systematic Review: Alcohol Has Analgesic Effects.” Alcohol Other Drugs and Health Current Evidence Systematic Review Alcohol Has Analgesic Effects Comments, May 2017, www.bu.edu/aodhealth/2017/04/27/systematic-review-alcohol-has-analgesic-effects/. 9. Raymond, Joan. “Study Explains the Science behind Your Beer Buzz.” NBCNews.com, NBCUniversal News Group, 11 Jan. 2012, bodyodd.nbcnews.com/_news/2012/01/11/10120223-study-explains-the-science-behind-your-beer-buzz?lite. 10. Ebrahim, Irshaad O., et al. “Alcohol and Sleep I: Effects on Normal Sleep.” Alcoholism: Clinical and Experimental Research, 24 Jan. 2013, onlinelibrary.wiley.com/doi/10.1111/acer.12006/full. 11. Justo, Patrick Di. “What’s Inside: NyQuil, Fortified With Powerful Narcotics!” Wired, Conde Nast, 4 June 2017, www.wired.com/2007/10/st-nyquil/. 12. Sanu, A, and R Eccles. “The Effects of a Hot Drink on Nasal Airflow and Symptoms of Common Cold and Flu.” Rhinology., U.S. National Library of Medicine, Dec. 2008, www.ncbi.nlm.nih.gov/pubmed/19145994. 13. Franco, L, et al. “The Sedative Effects of Hops (Humulus Lupulus), a Component of Beer, on the Activity/Rest Rhythm.” Acta Physiologica Hungarica., U.S. National Library of Medicine, June 2012, www.ncbi.nlm.nih.gov/pubmed/22849837. 14. Franco, Lourdes, et al. 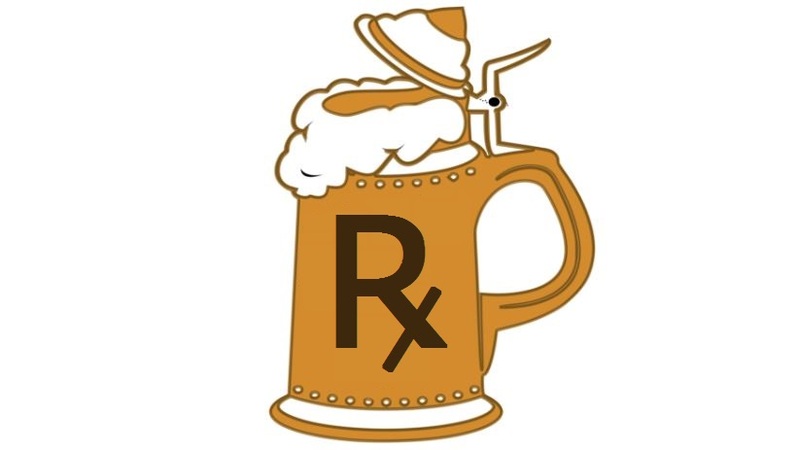 “The Sedative Effect of Non-Alcoholic Beer in Healthy Female Nurses.” PLoS ONE, Public Library of Science, 18 July 2012, www.ncbi.nlm.nih.gov/pmc/articles/PMC3399866/. 15. Prather, A A, et al. “Behaviorally Assessed Sleep and Susceptibility to the Common Cold.” Sleep., U.S. National Library of Medicine, 1 Sept. 2015, www.ncbi.nlm.nih.gov/pubmed/26118561. 16. Mosbergen, Dominique. “Beer May Have Anti-Virus Properties, According To Study Funded By Sapporo Breweries (VIDEO).” The Huffington Post, TheHuffingtonPost.com, 7 Dec. 2012, www.huffingtonpost.com/2012/12/07/beer-has-anti-virus-properties-study-sapporo_n_2258735.html. 17. Pitot, Henry. “Resveratrol Recommended Dosage.” LIVESTRONG.COM, Leaf Group, 3 Oct. 2017, www.livestrong.com/article/443759-resveratrol-recommended-dosage/. 18. Scutti, Susan. “4 Health Benefits Of Beer Drinking: Antioxidants, B-Vitamin, And Protein Are There… But Don’t Overdo It.” Medical Daily, 1 Oct. 2013, www.medicaldaily.com/4-health-benefits-beer-drinking-antioxidants-b-vitamin-and-protein-are-there-dont-overdo-it-258658. 19. “Can You Live off of the Vitamins and Protein in Beer?” Healthy Eating | SF Gate, healthyeating.sfgate.com/can-live-off-vitamins-protein-beer-4960.html. 21. Ohsunews. “Study: Moderate Alcohol Consumption Boosts Body’s Immune System.” EurekAlert!, 17 Dec. 2013, www.eurekalert.org/pub_releases/2013-12/ohs-sma121713.php. 22. Cohen, S, et al. “Smoking, Alcohol Consumption, and Susceptibility to the Common Cold.” American Journal of Public Health., U.S. National Library of Medicine, Sept. 1993, www.ncbi.nlm.nih.gov/pubmed/8363004. 23. Kruszelnicki, Karl S. “Why Does Drinking Alcohol Cause Dehydration?” ABC – Australian Broadcasting Corporation, 28 Feb. 2012, www.abc.net.au/science/articles/2012/02/28/3441707.htm. 24. O’connor, Anahad. “The Claim: Drink Plenty of Fluids to Beat a Cold.” The New York Times, The New York Times, 10 Jan. 2011, www.nytimes.com/2011/01/11/health/11really.html.